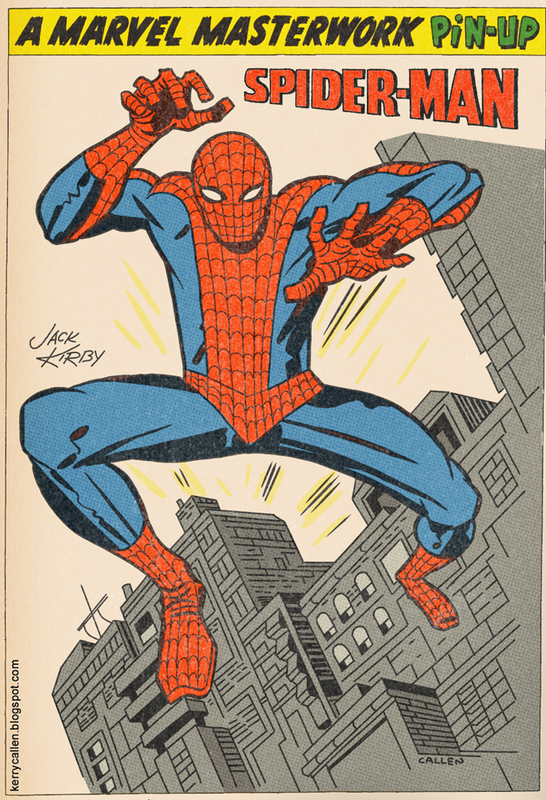 Today would have been Jack Kirby's 100th birthday. I wanted to honor his memory. But how? 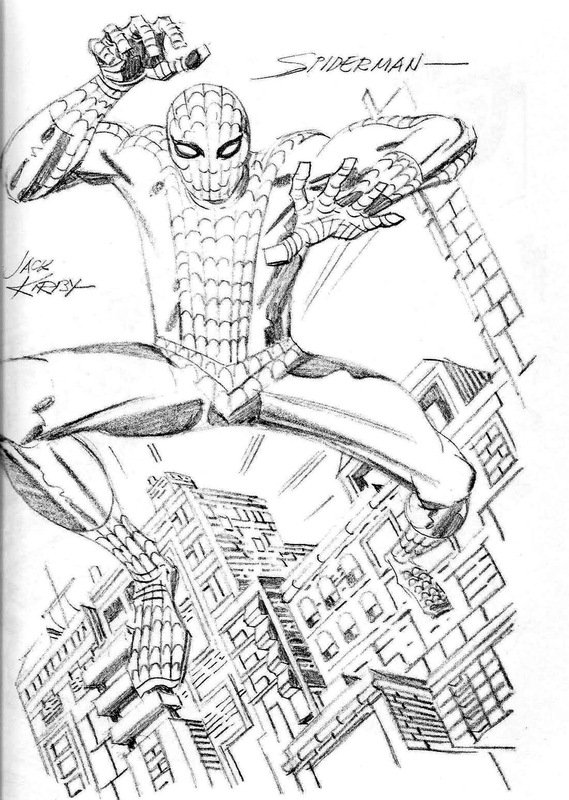 I've always been a bit fascinated in how he drew Spider-Man. He didn't do very often and it's very different than other artist's interpretations. I actually keep a folder on my computer with images I've found of Kirby's Spider-Man art. So today, I took one of his penciled images, ink and colored it to look like an old Marvel Masterworks pin-up as a tribute, seen above. Thanks for your imagination, Mr. Kirby. 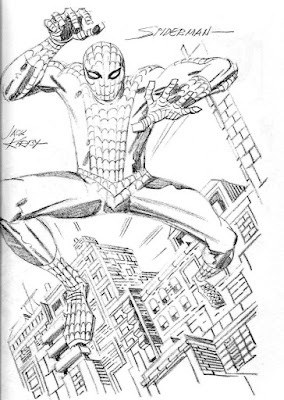 His original pencils are seen below.